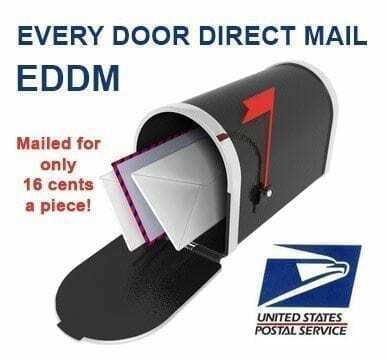 EDDM or Every Door Direct Mail is the latest marketing technique to create awareness about new products and services in the market by bringing information to customer’s door. These could be in the form of post cards that are distributed to individual homes by using all available carrier routes. This service is preferred by most organizations that are looking for an inexpensive method to increase their clientele across the nation. EDDM services posters that are available in most United States Postal Service centers will give complete details about routes available for EDDM service along with rates and time when these can be completed. EDDM services does not require any mailing list as postcards are delivered to all homes in a specific neighborhood the marketer wants to target. To start this marketing method corporates would have to take a special permit from local post office and then place order for cards at EDDM Printing service to print them in specific size as mandated. A standard way of maintaining contact with your customers is by sending them flyers, postcards, and brochures at different intervals that contain updates and promotional offers. However, the task of maintaining mailing lists, adding new customer information to them and also mailing them personally through company services is not only costly but extremely time-consuming. Postage is not the only concern as the job of printing, addressing, and mailing, alone take up a lot of productive hours which can be otherwise used in more important business activities. Given the importance of EDDM (Every Door Direct Mail), companies cannot do without it. That is why, we at Top Class Signs and Printing offer you EDDM Services in the form of EDDM Printing and Direct Mail Services. We reduce the burden of printing and sending out mailers and flyers to your customers and help you get all your promotional material to the right people in a hassle-free manner. USPS Every Door Direct, lets you define a particular geographical area by way of specifying a zip code, and helps you send your mailers to every address. This is the best way to reach your target audience or by just using your mailing list to create a direct mailer.